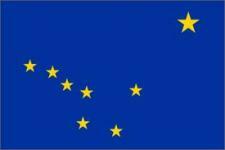 List of Alaska schools offering degree programs in nursing, RN-to-BSN, RN-to-MSN, LPN, CNA, and more. Alaska isn't all Eskimos and igloos. The largest state in the nation, Alaska is prized for its natural beauty and seemingly endless resources. Downtown Anchorage is a thriving metropolitan area and the cost of living is rather high. Nursing is an important occupation in Alaska. According to Salary.com, a staff nurse in Anchorage earns a median income of $64,743 per year.